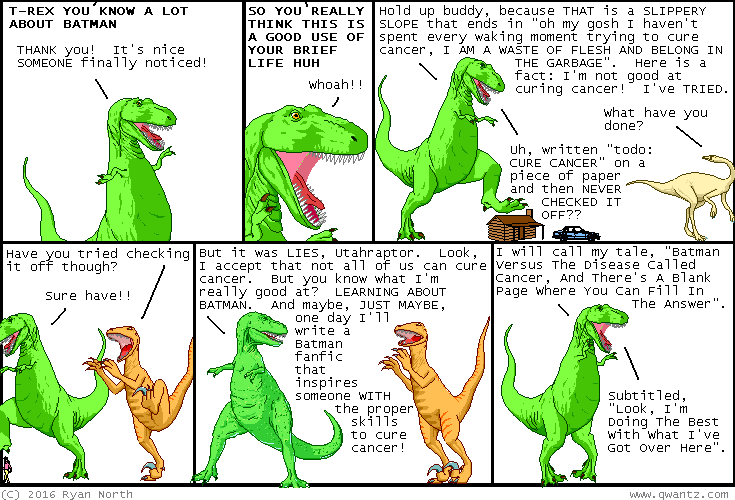 Dinosaur Comics - August 17th, 2016 - awesome fun times! August 17th, 2016: DCAF was super fun, and the highlight had to be when a real-life magician came over with his bunny and then I got to pet the bunny. One year ago today: there were a lot of these curse tablets found at a bathhouse, because people kept stealing people's clothes while they bathed. CLASSIC GRECO-ROMAN ERA, AM I RIGHT? ?